"Having PTSD Means I am Going to Go Crazy." This is definitely not true. Now, the symptoms of PTSD can be very disruptive. You may feel constantly on edge or as if danger is lurking around every corner. You may feel cut-off from people and your own feelings. You may have difficulties concentrating or find that you get angry at the drop of a hat. These are not signs of going crazy. They are simply your body's attempt to cope with an extremely stressful or traumatic occurrence. Remember, the body's main goal is to survive. When you experience a stressful event, your body responds by preparing to either "fight or flight." That is, your body will prepare for some kind of action. You may experience "tunnel vision," your muscles may get tense, and you may begin to sweat. Normally your body is able to recover from this "fight or flight" syndrome. However, after experiencing extreme and traumatic stress, your body may stay in this mode, always being prepared for action in case that danger happens again. You may also expect that danger will definitely happen again. The world may no longer appear safe, and this is a very reasonable response depending upon what you have experienced. You are not going crazy. Your body is just trying to cope. Again, this is not true. In fact, there have been many recent advances in the treatment of PTSD, and people are definitely being helped by these treatments. You can learn more about some of these specific treatments. "If I Get PTSD, it Must Mean that I Just Wasn't Strong Enough." There could be nothing farther from the truth. True, not everyone develops PTSD after experiencing a traumatic event, and we are still learning about what factors may make one person more likely to develop PTSD over another. However, we have no evidence that PTSD stems from "not being strong enough." Some risk factors for PTSD include having experienced other traumatic events, having a history of mental illness, a family history of mental illness, and the severity of the trauma experienced. 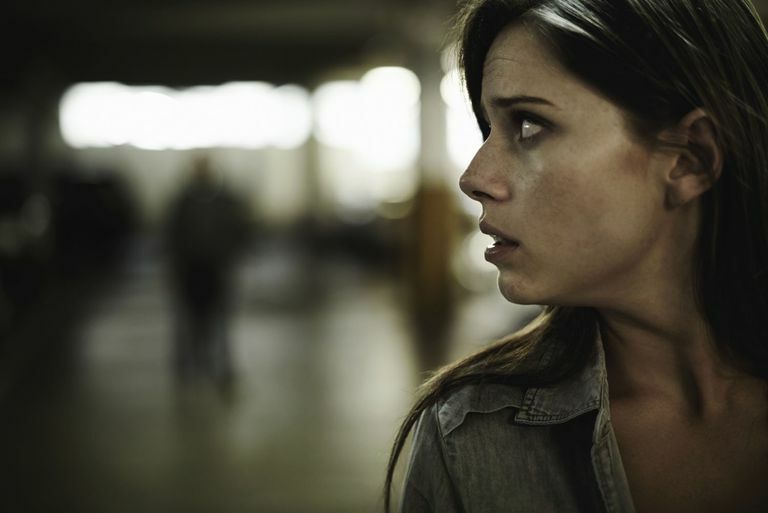 Many people may feel shame or embarrassment after experiencing a traumatic event. It is important to remember that developing PTSD is not your fault. However, it is up to you to seek out help. Fortunately, there are many resources available that can help you in coping with your traumatic experience and PTSD symptoms. "Why Do I Have PTSD? I Wasn't in a War." Many different traumatic experiences have been linked to the development of PTSD. PTSD was originally viewed as a soldier's illness, being called "combat fatigue" or "shell shock." However, we now know that a whole host of traumatic experiences can lead to PTSD, although some are more likely to lead to PTSD than others. The person experienced, witnessed, or was confronted with an event where there was the threat of or actual death or serious injury. The event may also have involved a threat to the person's physical well-being or the physical well-being of another person. The goal of these criteria is to differentiate traumatic events from those that are just really stressful. "I am Never Going to Get Over This." No treatment is ever going to make you forget what happened to you, and you will likely always have some memories and thoughts about your traumatic event. However, treatment can limit the extent with which this event and the symptoms connected to it interfere with your life. Following a traumatic event, some people even feel as though positive growth and change occurs. Of course, this may take some time. You do have the potential to "get over it" in regard to being able to lead a meaningful and fulfilling life despite the experience of a traumatic event and PTSD. There are likely many other myths out there on PTSD. Hopefully, we've been able to address a few of the major ones. Remember, if you have experienced a traumatic event and/or have PTSD, you are not alone. Recovery is possible. There are many people and resources out there waiting to help you on the path to recovery and healing. American Psychiatric Association (1994). Diagnostic and statistical manual of mental disorders, 4th ed. Washington, DC: Author. McNally, R.J. (2003). Progress and controversy in the study of posttraumatic stress disorder. Annual Review of Psychology, 54, 229-252. Ozer, E.J., Best, S.R., Lipsey, T.L., & Weiss, D.S. (2003). Predictors of posttraumatic stress disorder and symptoms in adults: A meta-analysis. Psychological Bulletin, 129, 52-73.